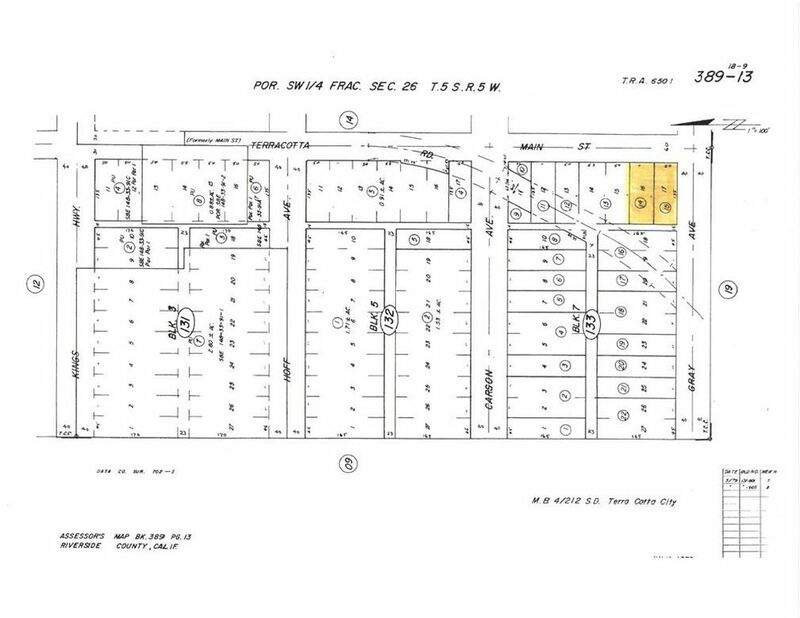 Two vacant lots for a total of 13, 605 sq ft. Manufactured Homes are Allowed per the City. Lots 14 & 15. Each parcel has 50' of frontage for a total frontage of 100' wide by 135' deep. build two homes or combine for one large home site. 15' easement behind parcels on the West end. Neighbors boundary will not touch yours for additional privacy. Corner lot on Main and Gray Ave. Dirt roads. Propane and septic area. Close to I-15 for easy access. Historic downtown Main Street and Lake are only minutes away for recreational family activities. Lake Elsinore is the fastest growing City in Riverside County and also Southern California. Great investment for family or spec home or hold.